Celebrate May, Celebrate a Closing! | Omaha, NE Real Estate Agents The Bill Black Team Video Blog Omaha, NE Real Estate Agents The Bill Black Team Video Blog: Celebrate May, Celebrate a Closing! Celebrate May, Celebrate a Closing! May is a month that usually brings a sense of happiness and relief. Those dreary winter months are coming to an end, flowers are blooming all around and mothers are being celebrated! While May is a month of transition in weather, for many it’s also a month of transition in living. Many people are closing on homes this month, but we should rethink the phrase “closing.” Everything else is being celebrated this May, and closing is no exception! First of all, let’s get a better idea of what’s really involved in closing on a house so we can better understand why it's worthy of a celebration! Binding yourself to a home – verifying your homeowner’s insurance, committing to the terms of the mortgage and getting keys in your hand – can be scary, but it doesn’t have to be! It is exciting that you possess a new living space, and it’s easier to feel optimistic about closing when you are more familiar with the process. After your long search for the perfect home, you still have to negotiate, get the house inspected and apply for and commit to the mortgage. Then comes that dramatic moment where you sign the dotted line, and voila, the house is your home! 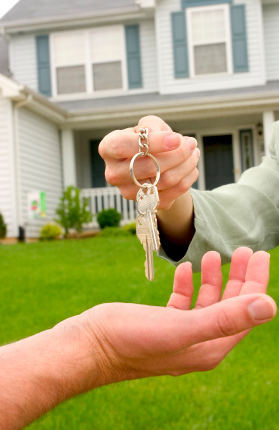 All those tense and stressful months or house hunting are extinguished in the quick and painless process of closing. Usually the process involves documents like loan papers, title insurance, contracts, a title and the down payment, to name a few. These items ensure that you will get everything just the way you’d like. 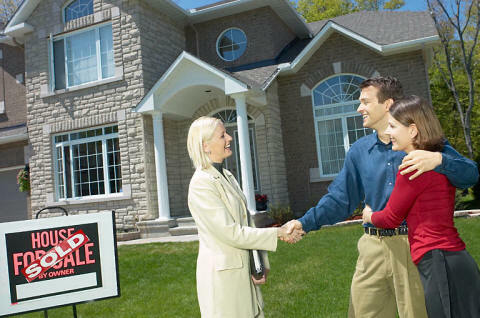 Timing is very important to make sure the closing goes smoothly and successfully. Remember, you’re not in it alone! You can search around for a settlement agent to prepare the documents for your closing, or you can simply use a recommendation from your real estate agent or lender. It’s Not a Closing, it’s an Opening! While many people use the common phrase “closing,” it’s actually the complete opposite. Sure you may have closed down the house hunting process, but remember who got you to that point? Most likely it was with the help of your real estate agent. Agents, especially me, are dedicated and caring. We don’t like to drop clients by the wayside just because we have helped them close on a home. I take this process as an opportunity to grow with my client and help them in their transition. So let’s celebrate! Here are some fun ways to commemorate your newly owned house! Get to Know the Neighborhood - Invite some of your neighbors over and take time to enjoy your new home. Celebrate with food and drinks to make everyone feel welcomed! Unpacking Party - Throw and “Unpacking Party” by inviting friends and family over to make the process easier and quicker! It’s always nice to make some kind of treat to show your appreciation. Show that You Care - Take time to write personal thank you letters to everyone who aided you in your moving process. It shows people you care, and make you appreciate this transitional life event. Stay in Touch with Your Agent - Again, please don’t think that your real estate agent is left behind in the moving process. We care and want to help you make the most of your new home through the end! So with all the celebration going on in May, why shouldn’t closing on a home be included as well? This month emits a refreshing zest of life and it should be appreciated and embraced. Do not just be relieved you have finally “closed” on a house but rather let’s rejoice in new homes, lasting relationships and beautiful spring! I’ll help you celebrate! And I can also answer your questions and provide real estate advice directly. E-mail me at bill.black@cbshome.com or call my cell at 402.680.2500!